Bill Sunderland was born in 1938. He was one of a family of four boys and one girl. His brother John is now his only Bill Sunderland surviving sibling. When Bill was born his family was living in Irishtown, but they soon moved to Killester. His father died when he was only twelve years of age and Bill served his funeral mass in St. Brigidâs church, Killester. Having finished his formal education, Bill, like so many young people of his generation, went to work in England. It was there he met Maureen Ward, from Donegal. They were married in 1958 when Bill was just twenty years of age. Their marriage was blessed with three children - two sons, John and William, and one daughter, Margaret. Bill returned with his family to live in Killester and to look after his mother in 1967. Billâs wife Maureen died a young woman. In 1982 Bill met Terry Clancy of Moycullen, Co. Galway. They were married in 1983. Their wedding was only the second wedding to take place in the then new Church of the Ascension of the Lord, Balally. The couple lived happily in their home in Balally Drive since then. 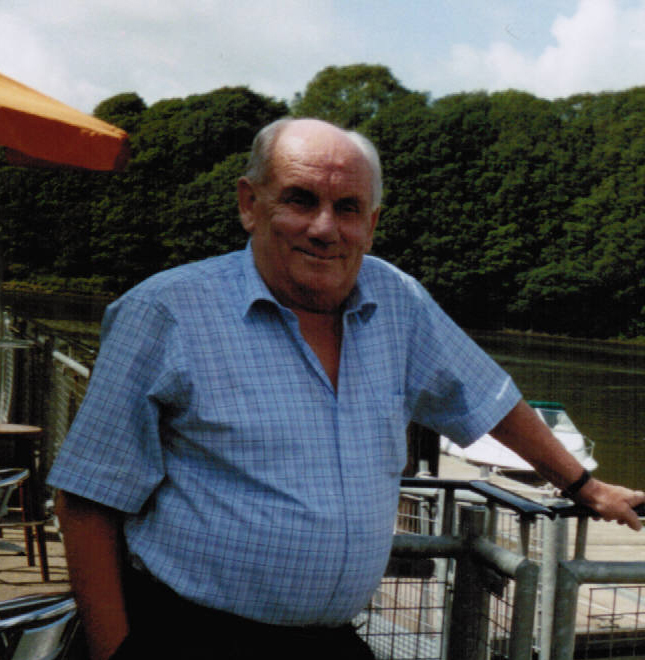 Bill, who was a driving instructor, was a member of St. Vincentâs GAA club and had played football with such well known GAA personalities as Paddy Cullen and Jimmy Keaveney. Following his arrival in Balally, he joined Naomh Olaf GAA club. He soon became immersed in the life of the club. He served as an adult football team mentor, but will best be remembered for his outstanding contribution to the success of the clubâs weekly lotto draw. Bill visited many of the licensed premises in the clubâs catchment area every weekend where he sold lotto tickets to his many regular customers. He would have a warm word for everyone and would not confine his sales to his regular customers. On his visit to the clubhouse on Sunday evenings with the proceeds of his sales, he would enjoy a social evening with his wife Terry and his many friends. Gaelic games of the week would be discussed and the banter would be mighty, particularly if his beloved Dubs had been playing. Bill had been in poor health for a number of years and had spent the last twelve months of his life in the Leopardstown hospital, where he died on the 14th April 2012. His remains were removed to the Church of the Ascension of the Lord, Balally, on the 18th April and his funeral mass was celebrated there by Father Fergus McGlynn on the morning of the 19th April. The burial was in Mount Jerome Cemetery. The large attendance of Naomh Olaf GAA club members on both occasions reflected Billâs popularity and standing within the club. Refreshments were served in the clubhouse following the removal and the family provided a hot meal in the clubhouse following the burial.